The Grumman F4-F Wildcat was one of the most successful US aircraft of WWII and it fought throughout the conflict. From service with the British Navy in 1940 to VJ Day in 1945, the Wildcat was there. When the US Navy and Marines entered the Pacific theatre and when the atomic bomb was dropped to put an end to hostilities, the Wildcat was there. It was supplied to the British Navy and designated the Martlet and saw action from the North Atlantic to the Mediterranean and fought alongside its American counterparts in the Pacific. 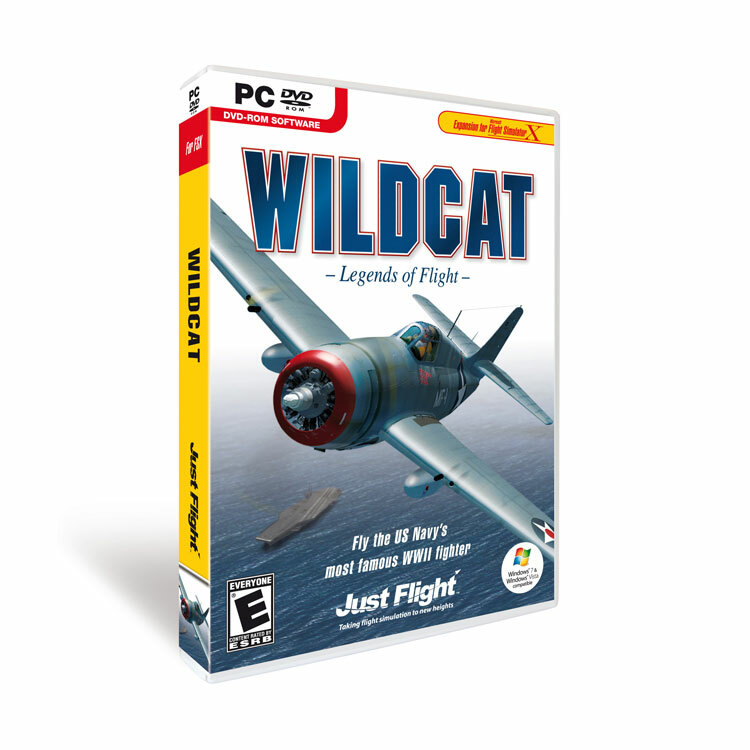 Now virtual pilots can fly the Wildcat in this state-of-the-art re-creation for Flight Simulator X. Realistic animations, accurate flight models and a wealth of detail do justice to this classic warbird. Clear the decks! Exterior detail is phenomenal; the unique F4F undercarriage is accurately animated, the folding wings on the F4F-4 and Martlet MkIV are fully modelled and animated with detailed mechanisms, right down to the correct wing stay rods when folded. Other animations include fully detailed split flaps, opening dinghy storage area, engine cowl flaps, operating tail hook and lockable tail wheel, realistic animated pilot in a choice of uniforms to suit the aircraft and even retractable landing lights! Sixteen different aircraft are included, spanning the F4F-3, F4F-4 and Martlet MkI and MkIV. The virtual cockpits are at the cutting edge of FS technology and every switch, knob and lever is animated and most are fully functional. Cockpits feature switchable, dimmable gunsight reticles and there is a choice of US or British gunsights, compasses and other equipment thanks to the provision of separate cockpits for US and British types and different layouts for the F4F-4 and F4F-3. State-of-the-art fluid, 3D gauges provide accurate readings and there is a working checklist gauge. The aircraft are fully compatible with FSX Acceleration and can be catapulted and trapped on the carriers. Comprehensive printed manual with custom tutorial to help you get airborne in this classic warbird.